As the number of games grows and the number of blogs increases, it’s becoming rarer and rarer for me to visit a room that I haven’t heard much about in advance. 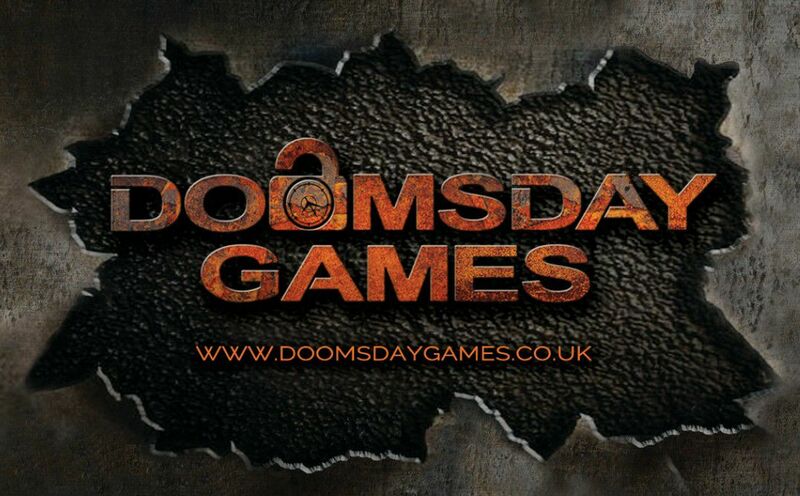 Doomsday Games was an exception to that, having managed to go almost entirely under my radar in spite of being open for several months. A brief positive mention on the UK Enthusiast Facebook group and the fact that it was a ninety-minute experience caught me eye, though, and I decided to make the journey out to see it for myself. It’s not much to look at from the outside but, once you get inside the reception, it becomes clear that the building isn’t reflective of the company’s design skills. It’s not a huge space, but it’s well decorated, and they’ve made the decision to have a separate briefing area, so the small reception won’t be an issue even when they open game number two. Once inside the briefing area, we were told about a couple of ways in which this game is different from your typical experience. Firstly, part of the reason it’s ninety minutes long is that they want to make sure you can take your time to absorb the story during the game. Secondly, the clue system isn’t a walkie-talkie or a screen on the wall but, instead, an AI that you strap to one of the players’ arms. Those facts don’t really make that much difference inside the game itself, but the fact that they weren’t taking the easy path hints that they’ve put plenty of thought into their creation. You never get a second chance to make a first impression, and they’ve certainly taken that to heart with a cool opening scene that sees you breaking into the laboratory where the antidote is stored. Not only does it look pretty but they’ve managed to find a good balance between detail and simplicity such that there’s enough to investigate without you feeling overwhelmed. While the decoration varied in style during the experience, every space felt impressive in its own way – at times because of the overall effect and at times in the detail. Speaking of the overall effect, one thing that I really liked was a technique they’d used to create a feeling that the already relatively large space was part of an even larger facility. In some ways, Pathogen had a relatively linear feel with a clear path through the game but, within that, there were often some parallel strands to work on. Sometimes that was two separate puzzles that could be solved in parallel but, where that wasn’t available, there was usually a search element or some reading that would help progress the game. In short, I never got the feeling that I was working entirely separately from Mrs Logic, but I also never felt that I was blocked watching her complete a task. The puzzles were fun and logical throughout the experience, and they often made sense within the story – there was some reason why they helped with our mission. Indeed, I’d described them as furthering the story in places – helping with the immersion or adding to the theatre of the game. That also allowed the designers to make the challenges more varied – you might be physically breaking into the laboratory, investigating people within it or working on something akin to a science experiment. The technology in the game is pretty pervasive and yet not overwhelming. They’ve created an experience where technology appears at the right moments to make the game work better but without dominating. A puzzle near the end could easily have been used to generate a padlock code or, in a more advanced room, used item placement to replace a four-digit padlock. Here they’d done something much more interesting that had embedded the puzzle in the game and made “entering” the solution feel like a natural step. The clue system is another example where they’ve used technology to help improve the experience. That worked pretty well, and I particularly appreciated the warning beeps prior to receiving a clue. Not only did that add some dramatic tension to the experience but it also gave me a chance to call Mrs Logic over when we were about to get help, so it even guards against one of your team being a clue hog! The game comes to a close with a couple of simple challenges that ensure you leave feeling confident in your puzzle-solving skills and with a final dash of theatre to give you a burst of excitement before you rush out the door. Truth be told, I don’t know how long we took, or indeed how many clues we took, but I’d guess around eighty minutes with perhaps five clues. That felt like we were going slowly – I’d expect experienced enthusiasts to be close to the hour with only one or two clues. Pathogen is a fantastically fun game with a beautiful opening scene, varied but good quality decoration throughout, a novel clue system, fun challenges and some cool theatre within the game. If you’re vaguely in the area, then I’d recommend you drop by, because this is a gem of a game. We played as a pair, and there was plenty of time to complete the room so, for the maximum enthusiast experience, I’d recommend going in with that sized team. There’s plenty of space, though and, with some reading in the game, a decent search element and some parallelised puzzle flow, I think you’ll be fine with a team of three or four.